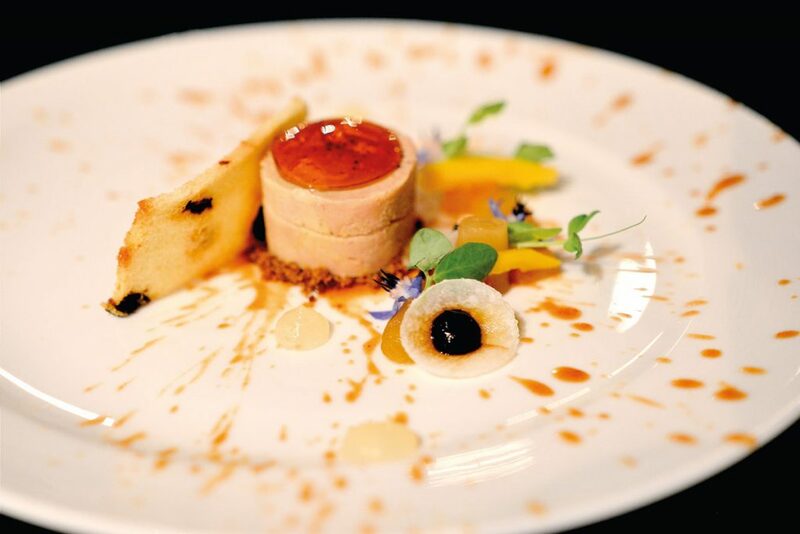 Having been the successful host to several acclaimed Michelin chefs in recent years, this September CasCades Restaurant successfully hosted a Mexican-European-Indonesian fusion dinner with an award winning chef as well as the 21st century Ambassador of French gastronomy in his role as Regional Bailli of Chaîne des Rôtisseurs Mexico – Thierry Blouet. Thierry Blouet is the chef owner of Café des Artistes in Puerto Vallarta. He’s a down to earth and recognisably multi-faceted chef who has worked with prestigious teams at Michelin Restaurants such as that of Chef Roger Verger at Le Moulin de Mougins, France, and the Ritz Carlton in Chicago. 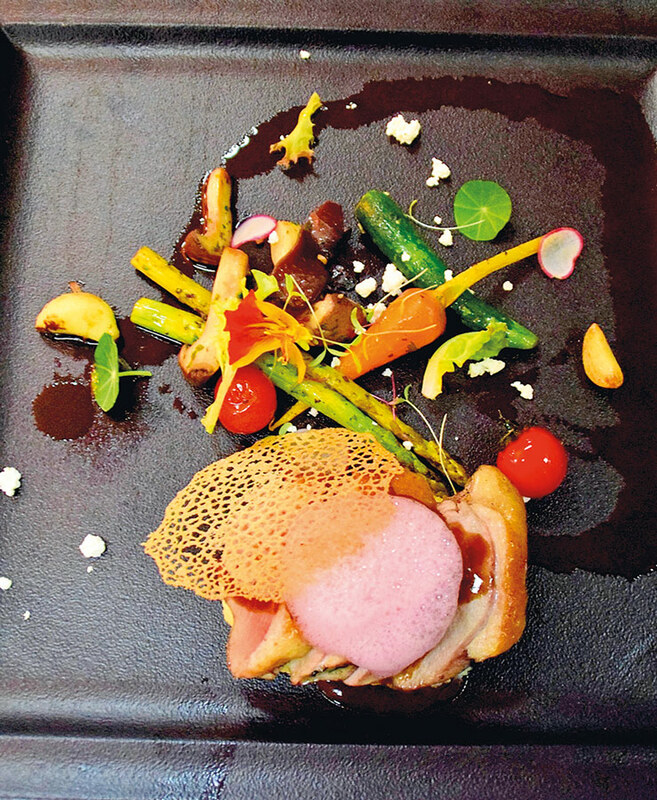 On the night, chef Thierry collaborated with CasCades’ executive chef – Nic Vanderbeeken whom he met when they both participated in the International Gourmet Festival in Mexico last November 2015. Chef Nic has 16 years of experience working in and establishing restaurants in France, Netherlands, Belgium, Vietnam and Bali. His passion and creativity catapulted him to sous chef at several Michelin restaurants such as Convent, Restaurant Berto and Grand Cabaret before establishing his own restaurants and building the reputation of CasCades Restaurant at the Viceroy Bali hotel. The event was held on the 24th of September 2016, this four hands collaboration dinner was of spectacular proportions; great food, wine and entertainment. 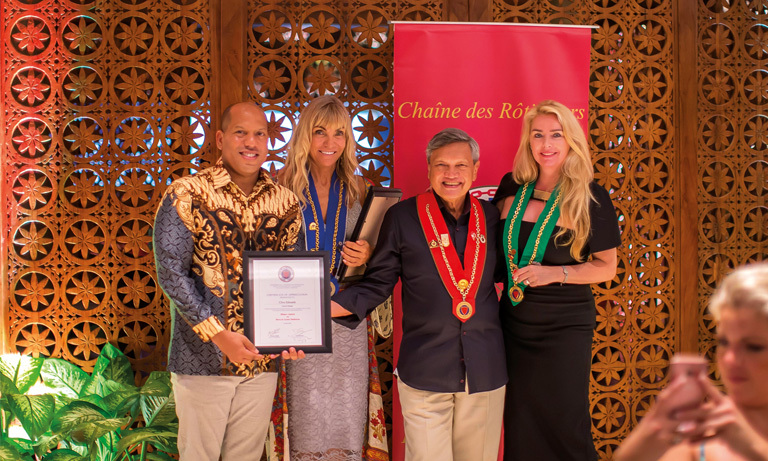 Guests were a mixed group, consisting of Chaîne des Rôtisseurs members, the Mexican Ambassador to Indonesia and the CasCades Restaurant guests. All attendants were real food lovers ready to embrace the interesting fusion menu that Chef Thierry and Chef Nic created. 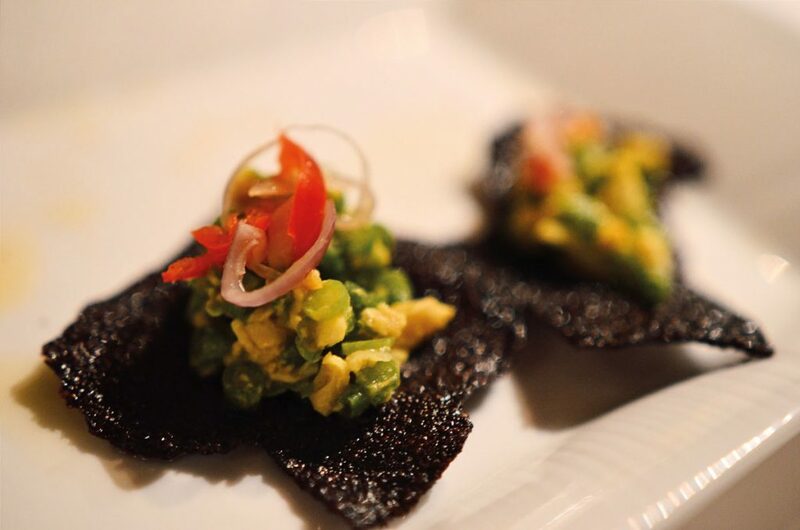 The dinner kicked off with a selection of mouth-watering canapes prepared by both chef Nic Vanderbeeken and chef Thierry with a definite highlight being the Flour Tostada; smoked tomato with chipotle and corn of Thierry’s and Corn Fritter with Caviar of chef Nic. 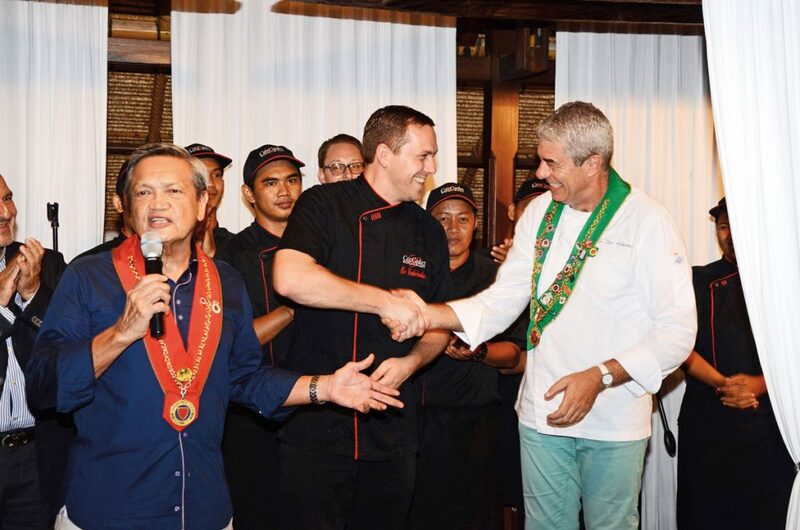 At the majestic setting of CasCades Restaurant, Anthony Syrowatka – Bailli Bailiage de Bali and General Manager of the Viceroy Bali, together with Firdaus Siddik- Bailli Delegue et Membre de Magistral, opened the dinner by sharing their warm welcome to all the attending guests and certainly to chef Thierry Blouet. On that very fine evening both chefs were also delighted in explaining the food and wine pairing from the dinner’s 6 courses that were presented. The six course degustation flowed elegantly between Mexican and Indonesian delights, with the Octopus Clam “Adobado” and Short Rib with Black Sole of chef Thierry impressively highlighting the flavours of Mexico and Chef Nic’s Pork Belly with Sambal Matah and Black Rice Kroepok with Urab amazingly allured with Balinese flavours. 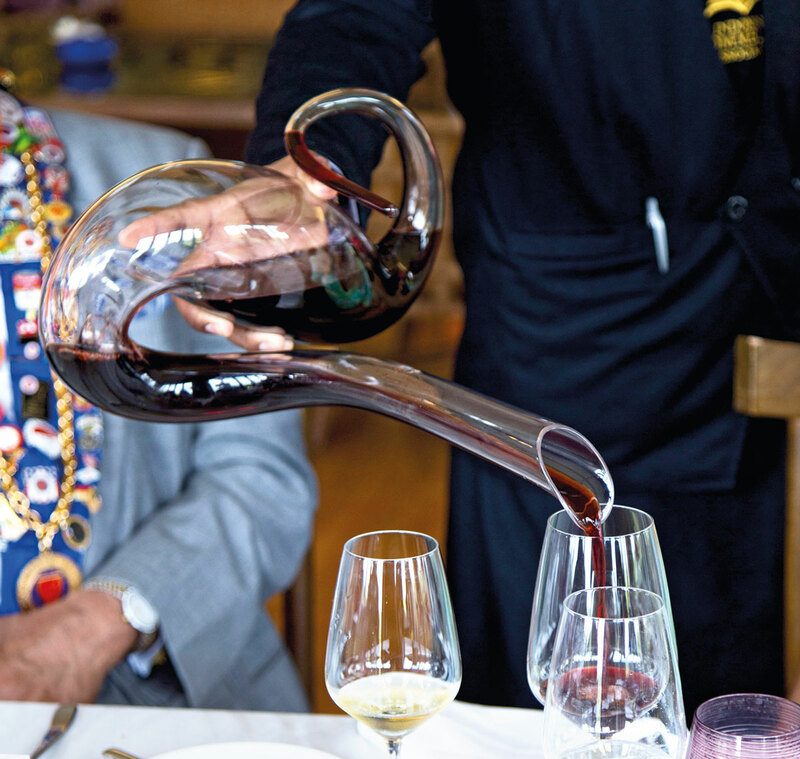 To complete the explosions of flavour, a pairing of some internationally acclaimed wines – including the last 6 bottles of Arnoux & Fils Vacqueyras Grenache Syrah left on the island of Bali. Curating the ambience of the evening, well-known Saxophonist Johnny James and the vocalists of Flavour Miami performed throughout the dinner. 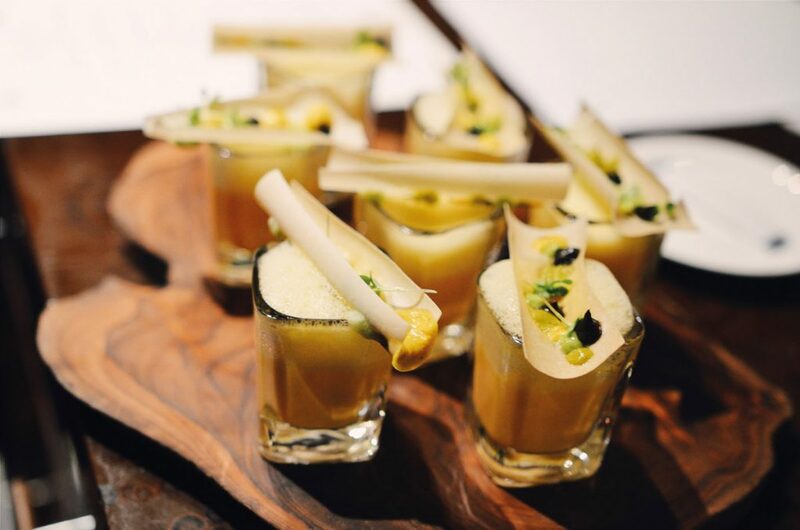 The musical trio set the tone of success for the evening, with the culinary chef duo receiving praise from the avid food and wine lovers that attended the dinner.